Everyone has a story to tell and Momento is the perfect format to preserve your personal history. Compile your special photos, handwritten letters or newspaper articles, then add captions and text to record the story of your life. The bonus is, you'll never lose your memory! To include old photographs, slides or documents in your book you'll need to have them scanned by an expert or take extra care when scanning them yourself. 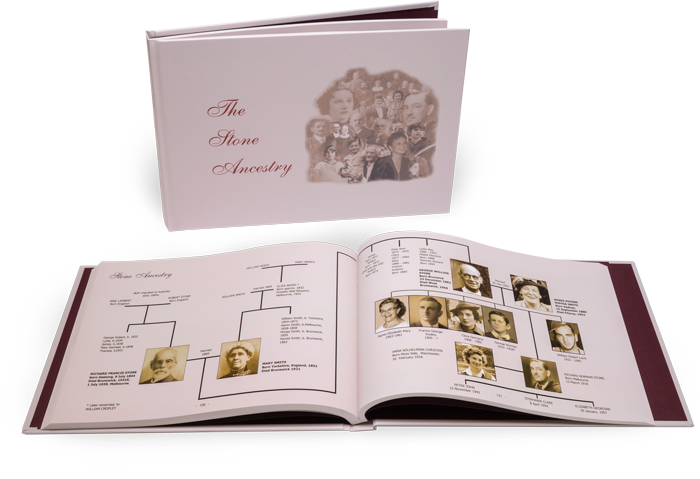 Create a legacy for your grandchildren by printing a premium book presenting their family tree, with birth and marriage certificates and stories about their ancestors. Don't forget you receive discounts on 2 or more copies. 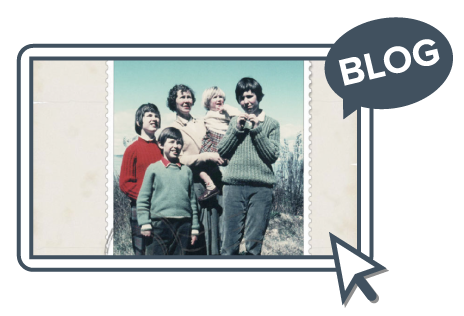 Archive the details of your family reunion in print, and allow extended family members to add their history and new research. Take advantage of our volume pricing or sell copies privately online via Momento Shop. We often forget we're creating history everyday, so get your photos off the computer and into an annual photo book where they can be shared and enjoyed. 60 years of marriage deserves a special celebration. Momento greeting cards makes it easy to design custom invitations with a touch of nostalgia. 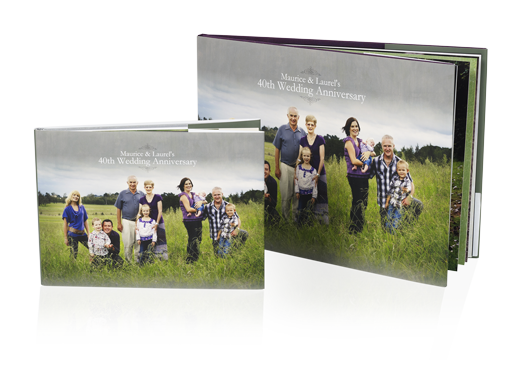 Make it easy for family and friends to remember their loved one with a book commemorating their life in photos. Punctuate it with short stories about major milestones and add extra pages for writing messages of sympathy or love. After the funeral, Sincere Thanks can be sent out in one of our greeting cards. The heroism of ANZAC veterans, past and present soldiers and nurses is worth recording for future generations to remember their sacrifice. Commemorate their career in a photo book including official photos, military records, letters, diary entries, maps and more, to tell the full story.